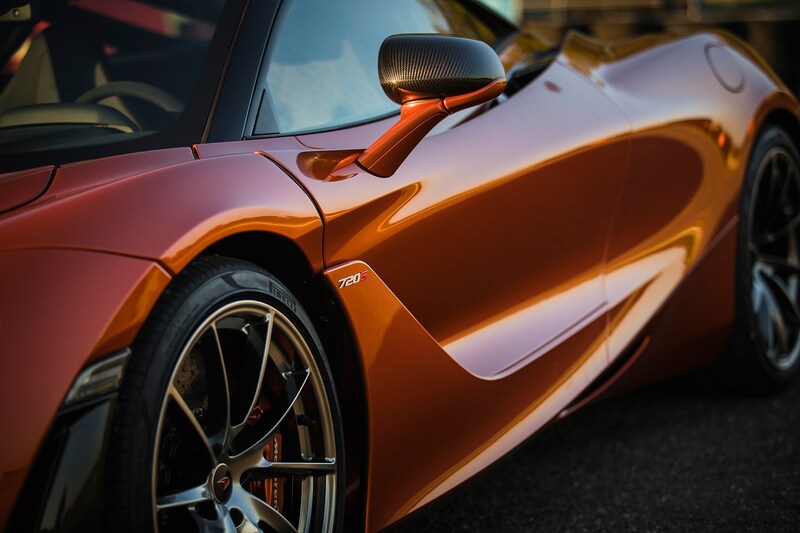 ► How accessible is the 720S’s performance? 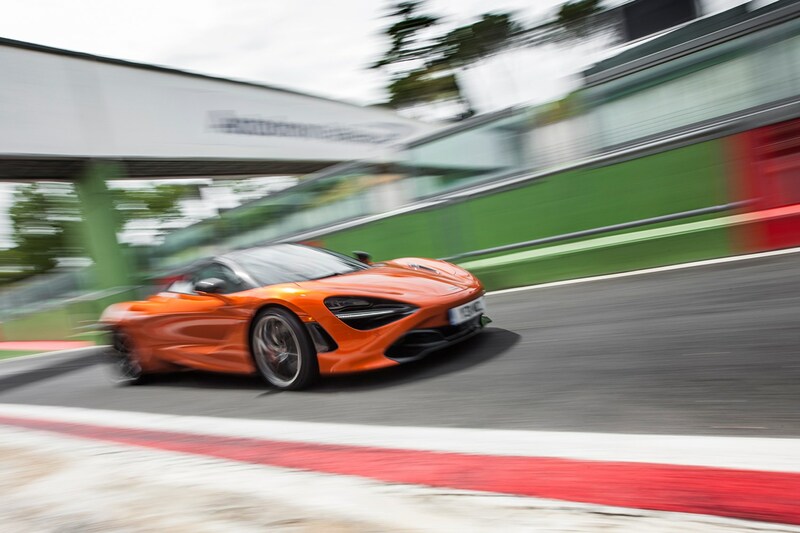 By the time we arrive at Vallelunga circuit, I feel I've extended McLaren's new 720S to about 20% of its capabilities, caged in on single lanes behind panel-beaten Puntos and mashed Micras. The 'quarter-lights' in the rear pillars and lower-set engine plenum transform rearwards visibility from letterbox to Cineworld, a godsend for spotting Rome's swarming mopeds. Even more impressive is the 720S’s determination not to succumb to destruction-testing by the Italian capital's network of potholes in search of some roads. 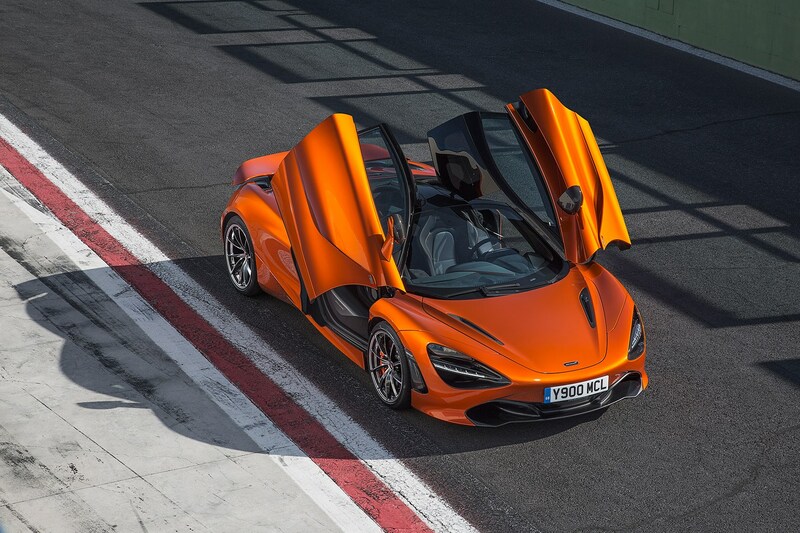 McLaren says the 710bhp supercar provides its greatest ever breadth of comfort and sportiness, and while the taut McLaren does not surf these craters like a Merc saloon, my spine and ears feel less pummeled than they would in some stiffly sprung sports cars. Thank Proactive Chassis Control v2.0. 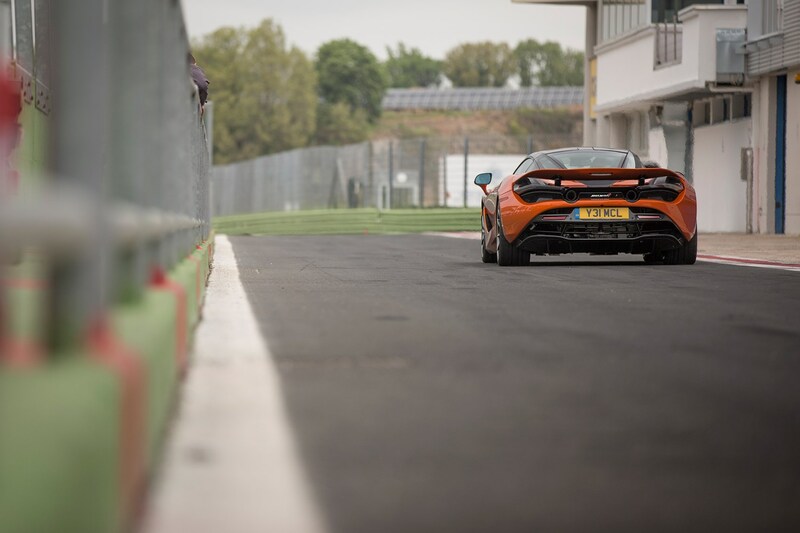 As in the original 12C McLaren, there are no anti-roll bars, allowing the body to bob comfortably on straights. But interconnected hydraulic dampers work together in corners, squeezing out body roll. Version 2.0 includes three additional sensors on each suspension upright, calculating kinetic inputs within two milliseconds to read the tarmac, while a new software control system continually tweaks the damping, aerodynamics and stability systems to optimise the car for the conditions, be they gnarly roads or a circuit track day. Vallelunga is paved with silk in comparison. My driving coach, BTCC driver Josh Cook, takes me out for a couple of sighting laps. I’m excited but nervous, having never driven anything this fast on track. The youthful driving Jedi instantly pins me against the doorcards, while effortlessly demonstrating Variable Drift Control, another new McLaren development. Using a graphic equaliser on the central screen, you can adjust the level of rear slip permitted by the traction control system, allowing drivers to build up their mastery of oversteer and have enormous fun, while retaining a safety net. Cue lots of watching the road through the side windows, as Cook drifts the 720S through a couple of corners at devastating speeds. We pit to swap seats. In a past life, Cook would have been an unflappable Spitfire pilot, while I... I can't even read a boarding pass: a McLaren host swings open the door and tells me I have to leave for the airport now or my flight is a goner. Cook's view is that we've got time for three laps, and we're off for a warm up lap. I try to commit the layout to memory. As we zero in on the start/finish line ahead of my hot lap (korma in curry terms), the words of McLaren test driver Chris Goodwin are going through my mind. 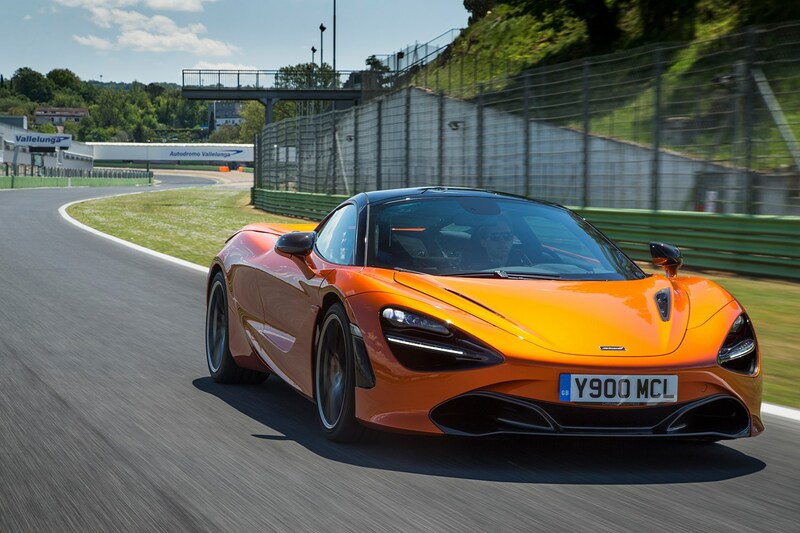 Thanks to the 720S's additional 68lb ft of torque and ability to go faster in corners compared with the outgoing 650S, Goodwin says he typically pulls a higher gear on fast sections, and the car has twice the aerodynamic efficiency of its predecessor. In an extremely rare interaction with the speedo, I note that 200kph (124mph) has been surpassed. Now, the 720S can do that from a standing start in 7.8 seconds and I've had a 2.5-mile run-up but it's a landmark nonetheless. Behind me, the enlarged 4.0-litre V8 sounds like a hurricane, a vociferous whistle of twin turbochargers, threshing machine combustion, and crank speed which peaks above 8000rpm. It's still not as operatic as a Ferrari V8, and having sampled both the sports and normal exhaust, the former is a must. We're spearing towards the slight brow of a crest, and I lift fractionally. The 720S is just so effortlessly damn fast and given the fleeting lack of visibility, my self-preservation instincts take over. Cursing myself I apologise to Josh. And at the end of this straight there's a helpful white sign: BRAKE. I see it coming up - and press the firm pedal at least 20m before it. I satisfy myself by saying that good drivers anticipate. Six-piston brake callipers, which felt a little wooden at times on the road, clamp the standard carbon ceramic discs. Speed is shed as instantly as it's piled on; I'm on for the corner. It's a swooping, open right-hander, that should be taken in third. If you've only changed gear with that rod by your left thigh, then the immediacy and obediency of one click of the left paddle – then the tub-rocking aftershock complete with explosive boom – are enthralling. The gearshifts are worth the £218k asking price alone. I turn the wheel, and the hydraulic steering responds silkily (no electric motors muddying the water here). On the road it does little jigs of feedback, on this flat track it feels linear and stable. The nose locks in on the red and white stripes, Josh tells me to keep the throttle constant, the wheels rumble over the top and I get a satisfying sense of the load exerted on the steering (although my driving is still more Ali G than lateral G). 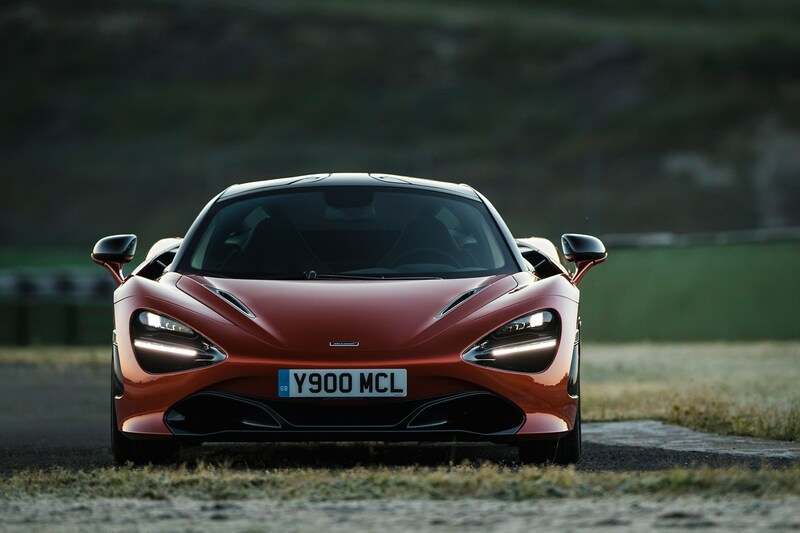 Meanwhile, the 720S's body angle feels flat and totally stable. We hurtle along the next straight, which ends in a right-hand hairpin. Hairpins have the same effect on me as snakes on Indiana Jones. But today, I nail two. In three laps. That’s progress. 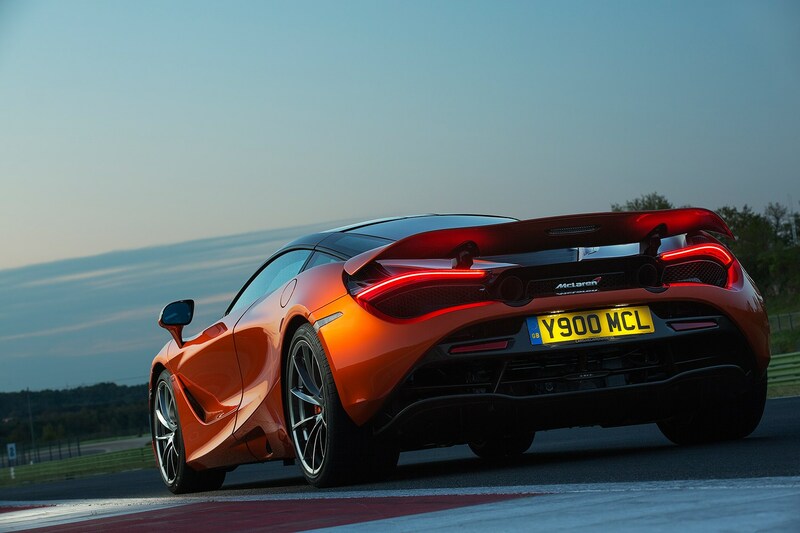 The 720S's rocksteady stability is phenomenal: McLaren claims the full-width rear wing helps generate 30% more rear downforce than in the 650S car. It feels as if Monty Python's giant foot is jammed down on the roof. Onto the straight and I saw at the wheel like Mr T in the A-Team van, and the chassis fidgets and tells me to let the aero and tyres settle things down. A drop of the right wrist and I've got track position to jink the wheel back left, through the tighter hairpin. Perilously I have my angles wrong, pushing the nose too far over the red and white kerb, and with a throttle that's a bit too open. What happens next is a blur: my swinging correction sends the tail into oversteer and I'm convinced we're about to spin. 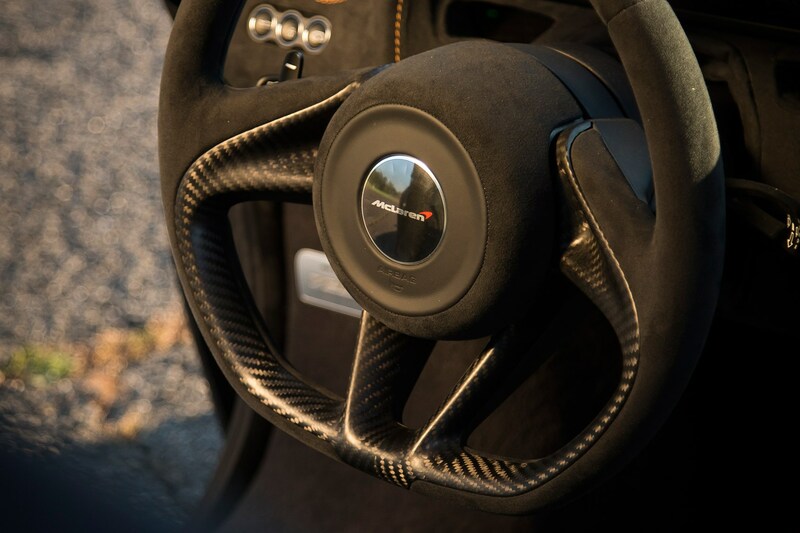 But a fistful of opposite lock, McLaren and Cambridge University’s six-year research project into chassis control systems and a liberal dose of ESC, plus some deft intervention from Josh Cook – lift! 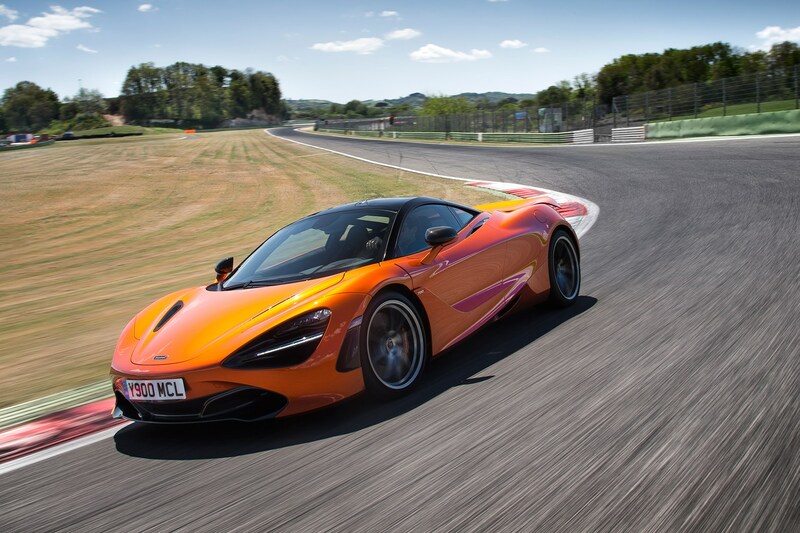 – and the 720s rights itself, grips, and on we go. Naturally with another very British apology from me. This is where things get a bit blurry. It's the technical section of the track, which passes in a flurry of bombastic gearshifts, velvety steering, the occasional swearword/odd apology, and relentless acceleration. This 1283kg supercar (without fluids) has 568lb ft on tap - and rapid-spooling turbines in the turbocharger which feel as if they all but eliminate lag. As I slow and pull into the pits, I realise I forgot to rotate the instrument pack into race mode, where a slimline panel relays nothing but speed, selected gear and shiftlights to shame Blackpool when you get close to the 8200rpm redline. There's little time to take in McLaren Track Telemetry, where you can record throttle opening, G-forces, peak speed and lap times. The cameras that generate the birdseye view for parking can be used to video any heroics. And I notice that my left leg is cramping painfully, after three laps of tensely bracing it against the footrest. 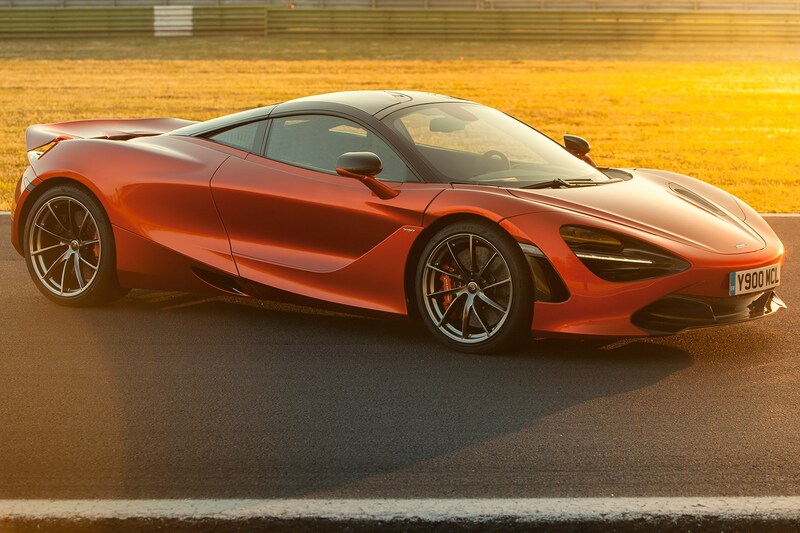 The 720S is an awesome supercar. The design is surprising, with its eye socket headlamps and clean body sides, thanks to the upper door's air gully that feeds the radiators. It can be remarkably civilised, with dihedral doors that slice away a (glazed) roof section so you can exit with dignity, and a ride comfort that no other supercar can match (for the record, Sport mode gives preferable body control on undulating roads). 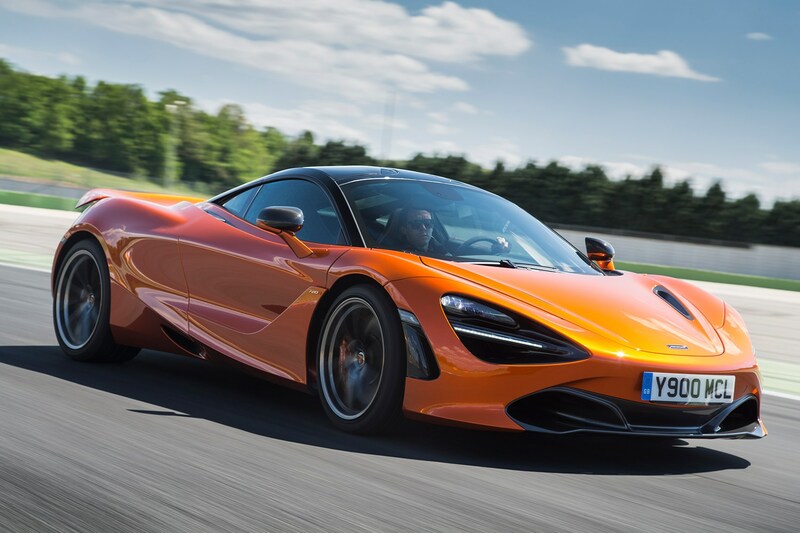 But unleash the 720S on track, and its insatiable acceleration, delicious steering and unflappable cornering – like a rollercoaster’s, but in a good way – shine. It’s a car that rewards, flatters and thrills a novice like me. On Vallelunga, I maybe stretched the car to 37% of its capability. But that still made me feel 100% energised and heroic, a nice feeling to carry into a frenetic drive of a different kind – the last-ditch run to Campiano airport.